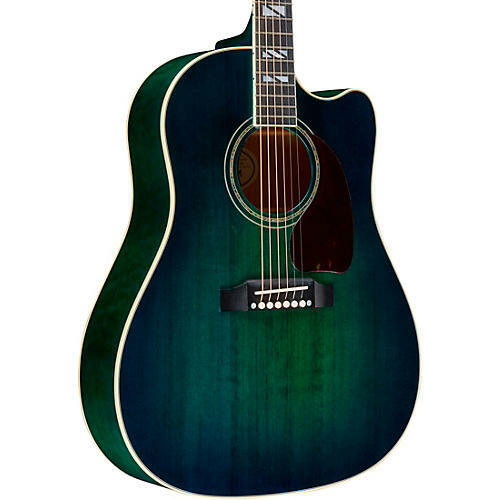 The appeal of teal in a slimmer dreadnought that's built for incredible feel. Hand built using all the time-honored techniques that every Gibson acoustic receives, the 2019 J-45 Chroma’s sound is only matched by its stunning beauty. This acoustic-electric model offers slimmer body depth and a modern Advanced Response neck profile for supreme playability in any position on the neck. The one-of-a-kind Teal Burst will instantly separate you from the crowd. The 2019 J-45 Chroma is finished with an L.R. Baggs Sessions pickup and comes with a hardshell case. Grab this unique Gibson today with a quick click or call. Order now.